In my youth, I would not eat an artichoke. To my young mind, something with the word “choke” in it and something that looked like you were eating leaves didn’t make sense to me as a food. As I grew up, I was gradually introduced to the artichoke in the form of spinach & artichoke dip. It quickly became one of my favorite appetizers at restaurants, but as you know, it’s not the healthiest option. Or is it? 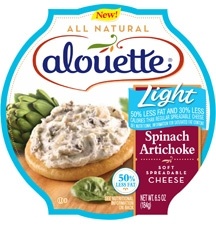 With Alouette Light Spinach & Artichoke Spreadable Cheese I can get the taste of spinach & artichoke dip without overdoing the fat and calories. Alouette®Cheese announces the introduction of their new All-Natural Light Spinach & Artichoke Spreadable Cheese just in time for summer. The new product offers a lighter version of the popular All-Natural Spinach & Artichoke Spreadable Cheese with less the calories and fat. The new Light Spinach & Artichoke Spreadable Cheese is loaded with spinach and artichoke offering a great snack filled with vegetables. I can’t even tell you how excited I was to open my first tub of Alouette Light Spinach & Artichoke Spreadable Cheese. Alouette Light Spinach & Artichoke Spreadable cheese is made with all-natural ingredients and actually has 50% less fat than regular spreadable cheese and 30% less calories. It’s also gluten-free, in case you have that dietary restriction. I opened up the container and sniffed. Mmm. It smells deliciously cheese with that little hint of something extra. I took a glance at the instructions and saw there was an option to heat up the cheese. This would make it just like the hot spinach dip I pay $8-$9 for at a restaurant. I popped the cheese into the microwave and in a matter of seconds, it was ready to eat. It was DELICIOUS. It had a great cheesiness to it with nice flavor from the spinach and artichoke. What was amazing to me was how light it was to eat. It tasted like I was eating restaurant quality spinach & artichoke dip but without that heaviness that often comes with those dips. The texture was spot on as well. It wasn’t too runny or too thick. I’m almost embarrassed to admit that I ate almost the entire container… by myself… in one night. The only thing that stopped me was that I ran out of crackers. The next day, I visited the local farmers market and picked up a french baguette. Once that baguette was home, I immediately sliced it up and finished the rest of the Alouette Light Spinach & Artichoke Spreadable Cheese. So good. Alouette Light Spinach & Artichoke Spreadable Cheese would hands down, without a doubt, be perfect as a snack to keep around the house or as an appetizer to serve at a party. One container won’t be enough, so get at least 2 or 3 and dump them all into a large bowl. You can find Alouette Light Spinach & Artichoke Spreadable Cheese in the specialty cheese case, retailing for $5.49. Please leave a comment sharing what you would eat with the Alouette Light Spinach & Artichoke Spreadable Cheese. Please make sure to leave a separate comment for each extra entry. Include Twitter handles/FB names for those entry methods. +1 if you “Like” The WiC Project on Facebook. +1 if you follow Alouette Cheese on Twitter. +1 if you follow The WiC Project on Twitter. +1 if you follow The WiC Project on Google Friend Connect. +1 if you subscribe to The WiC Project via reader. Giveaway ends at 11:59 PM EST, July 5, 2011. 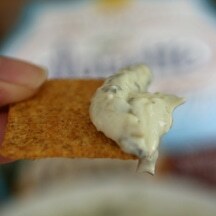 I’d eat pretzel crisps or wheat thins with the Alouette Light Spinach & Artichoke Spreadable Cheese. I LOVE Alouette! I love to eat this cheese on the crunchy bread sticks I get at our grocery’s bakery. Either plain or sesame – SOOOOOOO good! 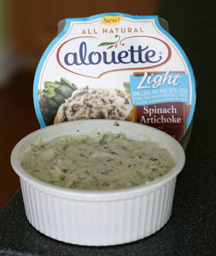 I have to say, I think the Alouette Light Spinach & Artichoke Spreadable Cheese would be delicious on an Everything bagel! Thanks. I would eat the cheese with celery and carrots. I subscribe to WIC via reader. I’d definitely have it with Wheat Thins. I think it would be good with thinly sliced rye bread. I would put it on little cucumber sandwiches. I would eat this with Tortilla chips. I would spread this on a toasted bagel – yum!! 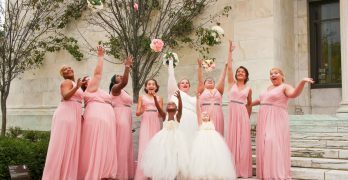 Follower via GFC – Terri. Subscriber to your blog in Google Reader. I would put it in chicken I flattened then rolled. I would eat it on some thin crisp crackers or garlic pita chips. I “Like” Alouette Cheese on Facebook. I “Like” The WiC Project on Facebook. A baguette and a bottle of wine. Nothing more. I would eat it with wheat crackers. I would use it as a dip for pretzels. Thanks. Like your site on FB (Contest KAO). Thanks. Like Alouette on FB (Contest KAO). Thanks! I’d use the Alouette Light Spinach & Artichoke Spreadable Cheese on toasted little breads. I subscribed by RSS feed. I would eat it with Blue Corn Chips or those Food Should Taste Good chips! 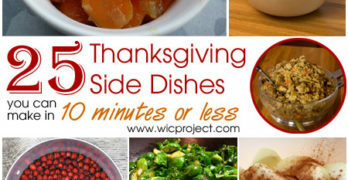 I like WIC Project on facebook! My brother makes a delicious Chicken Alouette, and I think this cheese would be great with some pan fried chicken! definitely on a toasted bagel! I usually eat it on crackers or to make spirals. I follow Alouette Cheese on Twitter. I would eat it with Ritz Crackers or with corn chips. I follow Alouette on Twitter @mgoss123. I follow The WiC Project on Google Friend Connect. I’d probably start with crackers and maybe as a dip for baby carrots. If I bought bread for it, we’d all be in trouble! I’d eat it with tortilla chips. I’m a facebook fan of Alouette Cheese under username Jennie Tilson. I’m a facebook fan of The WiC Project under username Jennie Tilson. We would serve the cheese with warm french bread! I would spread it on a crusty roll, top with sliced turkey and tomato and have a YUMMY sandwich! I’d have it over some pretzel bread. I would eat it with french bread toast rounds. Yum! Cocktail shrimp and crackers. YUM!! I would eat it with celery sticks and water crackers. I would eat mine with toasted chibata bread chips! I like spinach dip with Hawaiian bread. Yum. Confirmed email subscriber entry #1. Confirmed email subscriber entry #2. I’ll go with focaccia and watercress. Like Alouette Cheese FB as kyhere here. Like The WIC Project FB as kyhere here. Following WICProject twitter as ky2here1. Also following Alouettecheese twitter as ky2here1. I subscribe to The WIC Project via reader. I like to make my own pita and tortilla chips. I bake them in the oven and that way I can control the salt and not use any oil. I think they would be delicious with this neat cheese. I follow Alouette Cheese on Twitter w/ katklaw777. This sounds like it would go good with celery. I would spread it on the mini-toasts, biscuittes. I would spread it on broiled chicken breast filets and sprinkle on a few real bacon bits and put it back under the broiler just long enough to get the Alouette bubbly. 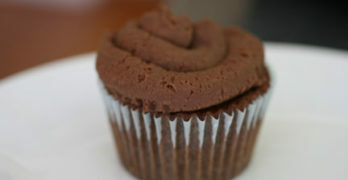 It’s delicious like this! I would eat it with chips. -I would eat crackers or soft sourdough or french bread with the Alouette Cheese. I’d make spinach and salmon roll ups. I would eat them on crackers of dried bread slices, thanks! I would enjoy it on onion & Garlic crackers! I would eat it on Ritz Crackers or some of the great bread from Publix bakery. I would eat it with pita chips. I’d eat it with a good loaf of bread. I would put the cheese on some Ritz crackers. I think the cheese would be a nice starting layer for a veggie wrap! I would eat it with some red bell peppers. Yum! I cnt wait to try this! On a sliced fresh Bagette, or on Some Crackers… I bet it tastes great! I would eat it with fresh veggies or crackers. I’d probably have it with that dark brown bread- pumpernickel, I think? spinach dip is the best with that! I would eat it with Trisctuits or a nice crusty bread. I would eat it with bagels. I like Alouette Cheese on Facebook. I like The WIC Project on Facebook. I would eat this with Ritz crackers. I follow The WiC Project on Twitter. I would like it on Ritz crackers. I’d eat with wheat crackers. Twitter friend of Alouette Cheese (pricelessteam). FB friend of Alouette Cheese (PRiceless Writers). I would eat them with crackers! Sounds so good!! I would eat mine with club crackers! Yummy! It looks great! Liked Alouette Cheese on Facebook via Jelest Leigh! Liked The WiC Project on Facebook via Jelest Leigh! I would eat with crackers with Alouette Light Spinach & Artichoke Spreadable Cheese. I follow follow The WiC Project on Twitter. I eat it with pork skins! It is a great tasting low-carb snack! We would have it with crackers!! yum. I like Alouette on Facebook.